This particular client had a set of four chairs and wanted me to remove the barley twists on the chair backs. 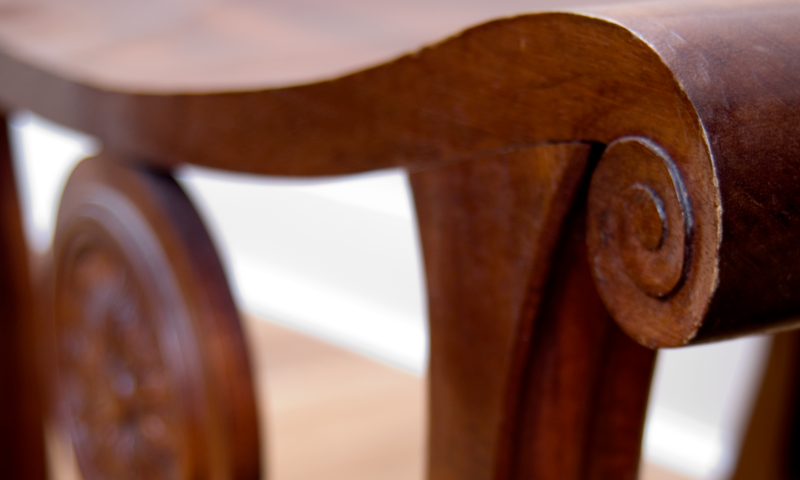 The chairs were made of oak and the twists were continually breaking due to the short grain, rendering them unusable. The barley twists were carefully cut out. New columns were then designed to match with the chairs. These were turned and reeded before being fitted into the backs. The new columns were coloured and finished, with appropriate aging, to match the existing parts of the chairs.